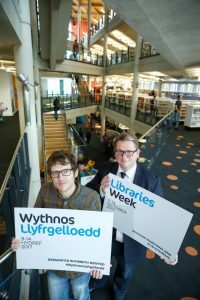 Libraries across Wales have celebrated Libraries Week by encouraging people to visit libraries under the banner of ‘discover something new’. Across the country libraries hosted guest authors and illustrators, group reading sessions, educational and literacy activities and so much more. 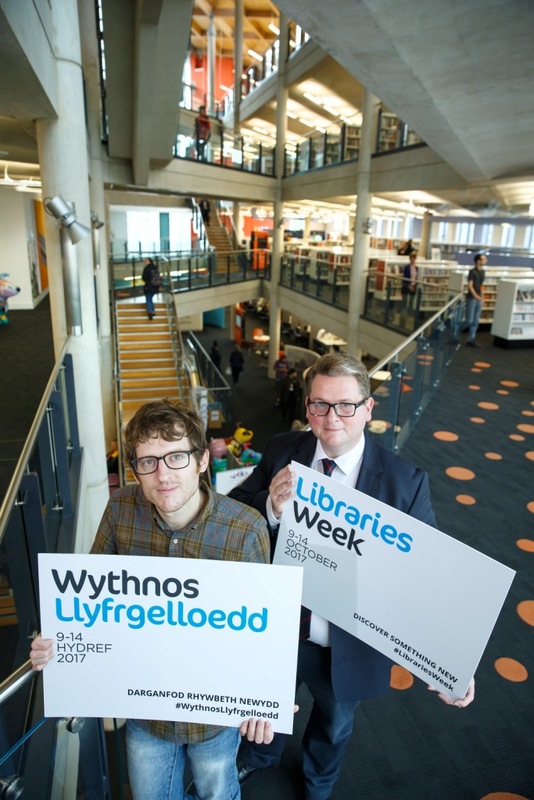 “The range of activities we saw during Libraries Week is quite incredible but it only represents a snapshot of the wonderful events that are held throughout the year at libraries across the country. Our message is for people to pop along to their local library and discover something new – this could be how to manage your health, accessing free Wi-Fi and games, finding a job – you can even prepare for your driving theory test there. Welsh public libraries have seen an increase in their digital services and whether you are a casual comic reader or like listening to books being read to you, there’s now a huge range of choice. Local libraries offer e-magazines, e-comics, e-books and e-audio books, all for free to download to read at your leisure. This has produced a 5% increase in downloads compared with the previous year. “To celebrate Libraries Week one of the events we hosted was a special evening in the company of renowned crime and thriller authors Paul Finch and Neil White. We then held our Macmillan Coffee morning on Friday as we believe libraries have a role to play in supporting the local community and offering them the opportunity to come together. Among other activities held last week across Wales were reading events and workshops with people like award winning author Giancarlo Gemin and Wales’s young people’s laureate, Casia William while the shortlist for this year’s Welsh Book of the Year award was also announced on Tuesday (10 October) by Literature Wales. 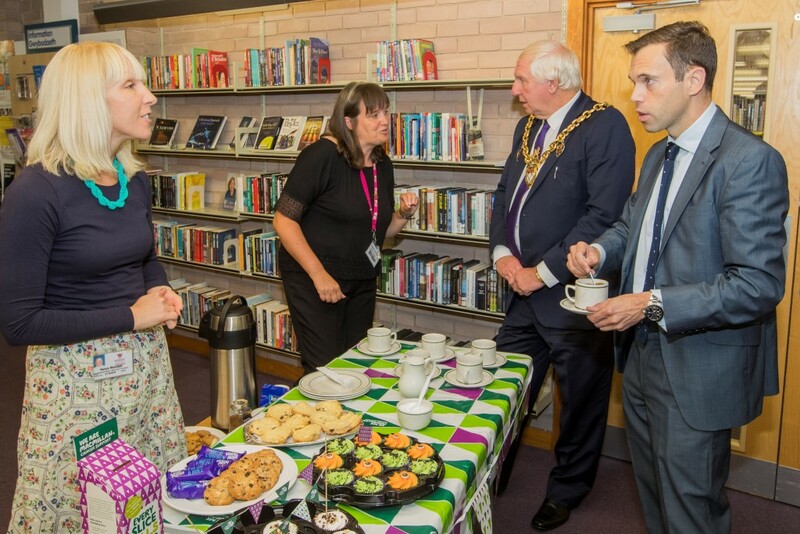 Ken Skates AM, Cabinet Secretary for Economy and Infrastructure at the Macmillan coffee monring with Mayor of Wrexham Cllr John Pritchard and library staff Sarah Coupland and Nerys Woodall.